First exhibition running in both locations, The Hive and Baker Street, showcasing past and current resident artists' works that aim to open up the debate about food, reaching audiences through creative engagement. 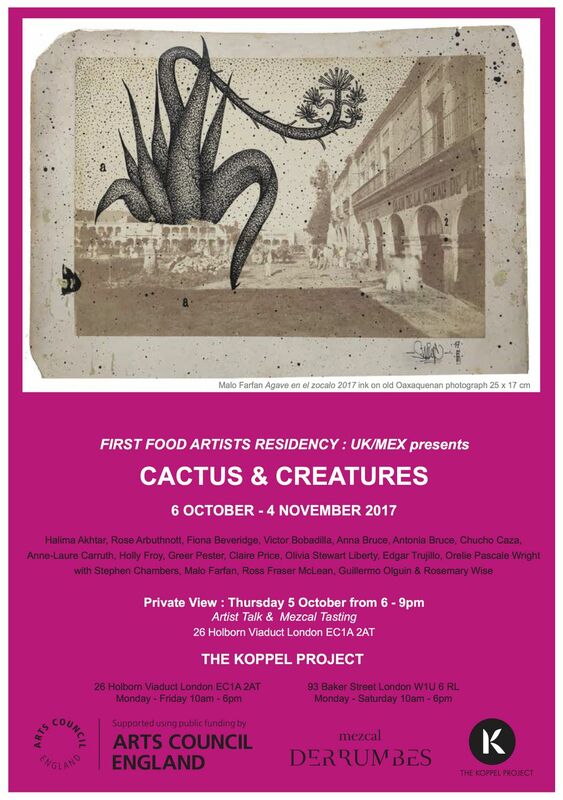 Cactus & Creatures features artwork by nineteen young emerging and established artists from the UK and Mexico, hosted by First Food a reciprocal, residency-based initiative for UK and Mexican artists responding to the integrity of native foods: corn, cacao, cactus, milk, and honey. 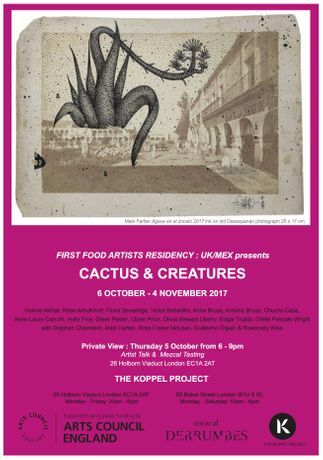 Painting, sculpture, printmaking, film and photography come together this year in an exhibition that captures the vibrant essence of Oaxaca and its relationship to cactus and edible insects.